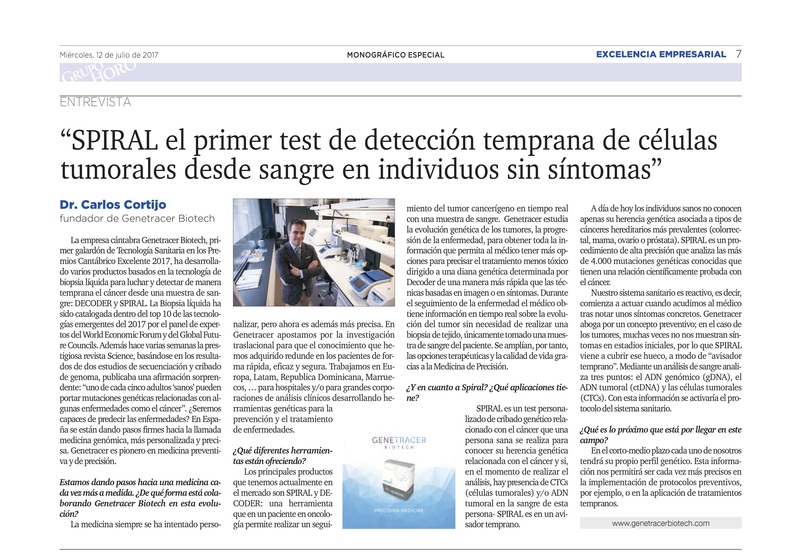 Newspaper El Mundo, Report to Genetracer Biotech. DECODER and SPIRAL. The Liquid Biopsy has been ranked among the top 10 emerging technologies in 2017 by the World Economic Forum panel of experts.